» [solved] Mouse buttons on Notebook both do right click. [solved] Mouse buttons on Notebook both do right click. Since an update yesterday, both mouse buttons (left and right) on my Lenovo ThinkPad X1 Carbon 4th gen. perform right clicks. The clickpad however is not affected by this issue. This situation is very annoying, since I am used to using the actual buttons and not the clickpad to click. An external mouse also works perfectly normal. When I try to swap the mouse button bindings in the gnome settings back and forth using the mentioned button, the gnome shell (apparently) crashes and I get thrown back to the GDM login screen. I can do it however using the click pad or external mouse without Gnome crashing. Any help on getting the buttons work normally again, i.e. having the left one do a left click, is appreciated. Re: [solved] Mouse buttons on Notebook both do right click. xinput/xev/… is meaningless since you're on gnome on wayland. You could check gnome on xorg first and/or run "libinput-debug-events" to isolate the issue. The problem disappeared as suddenly as it appeared. There were some updates of what I think was just multilib libraries and after a reboot, the buttons worked normally again. Sadly I have no idea what caused the issue in the first place. Luckily I could isolate the cause now. The left mouse button on the notebook behaves like a right one as soon as I start chromium. Also after closing chromium it will stay this way. After a reboot the buttons work correctly - until I launch chromium. It seems that the issue is not solved after all. Looks like a HW issue, left & right button of the mouse fire together (as if they were stuck) - what kind of device is that actually? External mouse in mouse-shape? Which model? Unfortunately I can confirm that it looks like a hardware issue. I downgraded to libpinput 1.10 without any success. I also tried Fedora live to see whether it occures on another distribution. This is highly frustrating, since I did not use the laptop too much the past weeks. I have no clue why the buttons suddenly fire simulteously. The buttons in question are the built-in mouse buttons. 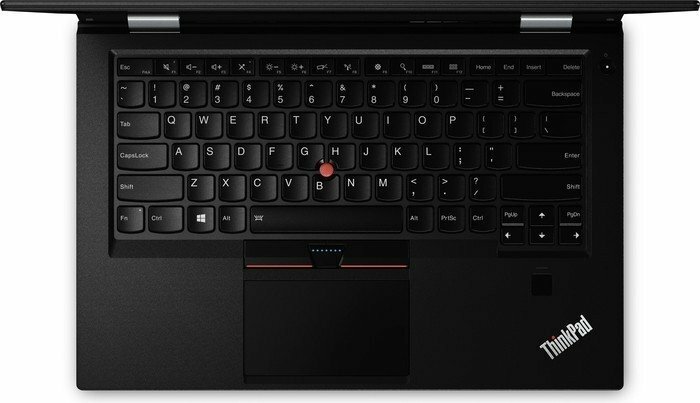 The 4th gen ThinkPad X1 Carbon has a trackpoint and below the keyboard three mouse buttons (left, middle, right). Below that is a clickpad, which is a touchpad that can also be physically clicked (pushed down) on the bottom edge, also behaving like left / middle / right clicks depending on the location you push down. The latter works while the former buttons (except the middle one, which seems to work normally) have the issue in question. The defective buttons are between the space bar and the clickpad. If you're lucky there's just some friction between them. If you're less lucky, some "substance" might have gone below the keys and pressing one transfers the force also to the switch below the other. I'd inspect that closer and try to blow things with compressed air or just invade the space w/ some paper to see whether things "emerge". On Sunday, both keys worked normally for some hours until the double-firing issue occured again. I followed your hint and had a look under the respective keys. It looks like the notebook came straight from the factory. Everything is clean. No crumbs, dust or anything. I took the chance to press the actual button contacts which are located roughly below the center of each button. Also clicking them seperately - and they are not mechanically connected in any way - resulted in the double-fire according to libinput. So either this is a hardware issue on the wiring level (due to the infamous flexing maybe?) or a firmware / driver issue. Yesterday I also noticed another phenomenon. The middle mouse button suddenly also fired as right click for some time (middle and right) but after some time started working normally again. It is a shame, since the laptop has just been repaired a few months ago due to a broken headphone jack and has just ran out of warranty. On Tuesday evening, I played around with some driver settings and X11 configuration as described on ubuntuusers and in the official wiki. and no X11 configuration (I deleted all previous tests), but nothing seemed to be working. So at some point I shut the laptop off and went to bed. Whan I came home from work on wednesday evening, I started the laptop again and all buttons worked normally. So I checked again and backed up my current configuration in aforementioned file and tried to determine whether it really was this setting, that did the trick, which would have surprised me, since it was not working the day before. Then, I tried some other driver settings like "bare", "imps", "exps", and rebootet after each change, but in all cases I had the original problem of the dual fire. Full of hope I reverted back to my original, backed-up configuration with "any" and - you guessed it - it didn't work either. Hence I conclude, that for some reason the buttons worked for a short period after a cold start. I'll try to reproduce this this evening. Probably there is an intermittent contact from when the laptop was repaired from the broken headphone jack I mentioned above. I can confirm this on a Lenovo x240. Sometimes it appears. Sometimes it disappears. There were no input-related package updates. An external USB mouse is not affected by the problem during the same period. But I updated chromium yesterday. That could be a sign. Today I opened the laptop and checked all visible plugs / connections within. All seemed to be tightly connected. After I closed the notebook again and booted it, the issue was remaining. As a shot in the dark I randomly clicked the defective buttons in altering order and also simultaneously. Turns out that when I click and hold the left button, then click and hold the right button, then release the left button and then release the right button, the buttons work normally again. When I press them in random order simultaneously at some point the original issue occures again, but I can "reset" it as mentioned above. Either this is a firmware / driver bug or some new "feature".